Law Web: How doctrine of blue pencil is applicable for interpretation of agreement? How doctrine of blue pencil is applicable for interpretation of agreement? In several cases, courts have held that partial invalidity in contract will not ipso facto make the whole contract void or unenforceable. Wherever a contract contains legal as well as illegal parts and objectionable parts can be severed, effect has been given to legal and valid parts striking out the offending parts. In the present case, Clause 23 relates to arbitration. It is in various parts. The first part mandates that, if there is a dispute between the parties, it shall be referred to and finally resolved by arbitration. It clarifies that the rules of UNCITRAL would apply to such arbitration. It then directs that the arbitration shall be held in Delhi and will be in English language. It stipulates that the costs of arbitration shall be shared by the parties equally. The offending and objectionable part, no doubt, expressly makes the arbitrator's determination "final and binding between the parties" and declares that the parties have waived the rights of appeal or objection "in any jurisdiction". The said objectionable part, in my opinion, however, is clearly severable as it is independent of the dispute being referred to and resolved by an arbitrator. Hence, even in the absence of any other clause, the part as to referring the dispute to arbitrator can be given effect to and enforced. By implementing that part, it cannot be said that the Court is doing something which is not contemplated by the parties or by 'interpretative process', the Court is re-writing the contract which is in the nature of 'novatio'. The intention of the parties is explicitly clear and they have agreed that the dispute, if any, would be referred to an arbitrator. To that extent, therefore, the agreement is legal, lawful and the offending part as to the finality and restraint in approaching a Court of law can be separated and severed by using a 'blue pencil'. 26. The proper test for deciding validity or otherwise of an agreement or order is 'substantial severability' and not 'textual divisibility'. It is the duty of the court to severe and separate trivial or technical part by retaining the main or substantial part and by giving effect to the latter if it is legal, lawful and otherwise enforceable. In such cases, the Court must consider the question whether the parties could have agreed on the valid terms of the agreement had they known that the other terms were invalid or unlawful. If the answer to the said question is in the affirmative, the doctrine of severability would apply and the valid terms of the agreement could be enforced, ignoring invalid terms. 1. This Arbitration Petition is filed by the petitioner, Shin Satellite Public Co. Ltd. against the respondent, M/s Jain Studios Ltd. under Sub-section (6) of Section 11 of the Arbitration and Conciliation Act, 1996 (hereinafter referred to as 'the Act'). It is prayed in the application that Hon'ble Mr. Justice M. L. Pendse (Retired) be appointed as Sole Arbitrator, or in the alternative, any other retired Judge of a High Court may be appointed as an Arbitrator. The Hon'ble the Chief Justice of India has nominated me to exercise power under Sub-section (6) of Section 11 of the Act and that is how the matter has been placed before me for passing an appropriate order. 2. It is the case of the petitioner that it is a Company registered under the laws of Thailand, having its principal office in Thailand. The petitioner carries on the satellite business and has got three satellites in the orbit, viz., Thaicom-1, Thaicom-2 and Thaicom-3. The petitioner, through above satellites, provides broadcasting and internet services to various Companies/ firms in the world. The respondent is a Company duly registered under the Companies Act, 1956 having its registered office at New Delhi. 3. According to the petitioner, an agreement was entered into between the parties on August 10, 1999 for availing broadcasting services of the petitioner by the respondent. The agreement, inter alia, provided for supply of satellite services, payment of fees, etc. Clause 23 provided for arbitration in case of dispute arising from the interpretation or from any matter relating to the performance of the agreement or rights or obligations of the parties. Since the dispute arose between the parties, the petitioner, through advocate addressed a letter/notice to the respondent on September 9, 2004 demanding for arbitration under Clause 23. The petitioner, in the said letter, stated that it had appointed Hon'ble Mr. Justice M.L. Pendse (Retired) as its arbitrator and called upon the respondent to appoint an arbitrator. The petitioner, however, received a letter dated 7th October, 2004 from the respondent's advocate contending that the arbitration clause was not legal and valid and Clause 23 of the Arbitration Agreement could not be termed as 'Arbitration Clause'. According to the petitioner, thus, the respondent failed to appoint an arbitrator which compelled the petitioner-company to file present application under Section 11(6) of the Act. A prayer was, therefore, made to make an appointment of an arbitrator. 4. On March 17, 2005, notice was issued on the application. The learned Counsel appeared on behalf of the respondent and waived service of notice. Time was sought to file counter-affidavit, which was granted. 5. A reply-affidavit was then filed by the respondent urging therein that the Arbitration Agreement was not legal and valid. It was contended that Clause 23 contained a condition that the arbitrator's determination would be treated as 'final and binding between the parties' and the parties had waived 'all rights of appeal or objection in any jurisdiction'. It was also submitted that the disputes were to be resolved by arbitration under the rules of United Nations Commission on International Trade Law (UNCITRAL). Whereas Agreement in question dated August 10, 1999 provided that the arbitration would be held in Delhi in accordance with Indian Law, under other two Agreements, the place of arbitration was fixed at Singapore and London respectively, and the governing law was English Law. It was, therefore, stated that in the present case also, arbitration may be held in London or in Singapore, where arbitration proceedings were going on between the parties. 6. The matter could not be heard finally as the question as to the nature of function to be performed by the Chief Justice or his nominee under Sub-section (6) of Section 11 of the Act was referred to a seven-Judge Bench. In SBP & Company v. Patel Engineering Ltd. MANU/SC/1787/2005 : AIR2006SC450 the point was finally decided. It was held by majority that the function performed by the Chief Justice or his nominee under Section 11(6) of the Act is a judicial function. After the above decision, the matter was placed for hearing and both the sides were heard. 7. The learned Counsel for the petitioner contended that an agreement had been entered into between the parties which contained an arbitration clause and in accordance with the terms of the agreement, a letter/notice was issued by the petitioner to the respondent for referring the matter to an arbitrator. It was also stated that the petitioner has appointed Hon'ble Mr. Justice M.L. Pendse (Retd.) as its arbitrator and asked the respondent to appoint an arbitrator. The respondent, however, contended that the Arbitration Agreement was not legal and valid and arbitration clause was not in consonance with law. In the circumstances the petitioner has filed the present application which deserves to be allowed by appointing an arbitrator. 8. Learned Counsel for the respondent, on the other hand, submitted that the petition is not maintainable as the so called arbitration clause can neither be said to be legal, nor in accordance with law and as such cannot be enforced. According to the counsel, the arbitration clause takes away completely the right of the parties to challenge the award passed by the arbitrator. Clause 23 of the agreement is not only in restrain of legal proceedings to be initiated in a competent court of law but is also against public policy. Such provisions are held to be unenforceable in several cases. The petitioner is, therefore, not entitled to seek enforcement of arbitration clause and the petition is liable to be dismissed. 9. On merits, it was submitted that three agreements had been entered into between the parties. Whereas, in other two cases, arbitration proceedings were held in foreign country, in this case the venue is Delhi. This would create enormous difficulties for both the parties. If an arbitration is held in London or in Singapore, the dispute can be decided along with other matters. It was stated that the respondent has no objection if the petitioner is agreeable to the suggestion of the respondent to hold arbitration out of India. Any dispute arising from the interpretation or from any matter relating to the performance of this Agreement or relating to any right or obligation herein contained which cannot be resolved by the parties shall be referred to and finally resolved by arbitration under the rules of the United Nations Commission on International Trade Law (UNCITRAL). The arbitration shall be held in New Delhi and shall be in the English language. The arbitrator's determination shall be final and binding between the parties and the parties waive all rights of appeal or objection in any jurisdiction. The costs of the arbitration shall be shared by the parties equally. If any provision of this agreement is held invalid, illegal or unenforceable for any reason, including by judgment of, or interpretation of relevant law, by any Court of competent jurisdiction, the continuation in full force and effect of the remainder of them shall not be prejudiced. 11. The main contention of the learned Counsel for the respondent is that Clause 23 made the arbitrator's determination "final and binding between the parties" and the parties have waived all rights of appeal or objection "in any jurisdiction". According to the counsel, the said provision is inconsistent with Section 28 of the Contract Act, 1872 as also against public policy. 12. In reply, the learned Counsel for the petitioner submitted that Clause 23 is in several parts and all parts are severable. It was expressly conceded before me by the learned Counsel for the petitioner that the italicized portion on which reliance was placed by the learned Counsel for the respondent is not in consonance with law and is not enforceable. He, however, submitted that the said part is independent of other parts and ignoring the offending part, the remaining parts which are legal, valid and binding, can be enforced. 13. Moreover, the agreement itself provides for severability. Clause 20 of the agreement declares that if any provision is held invalid, illegal or unenforceable for any reason, it would not affect other clauses. It was, therefore, submitted that ignoring the objectionable part relating to acceptance of arbitrator's determination as 'final and binding' and waiving right of objecting the award as unenforceable, the remaining parts can be enforced. The petition, therefore, deserves to be allowed. In the light of submissions of the learned Counsel, let me consider the legal position. 430. Severance of illegal and void provisions. A contract will rarely be totally illegal or void and certain parts of it may be entirely lawful in themselves. 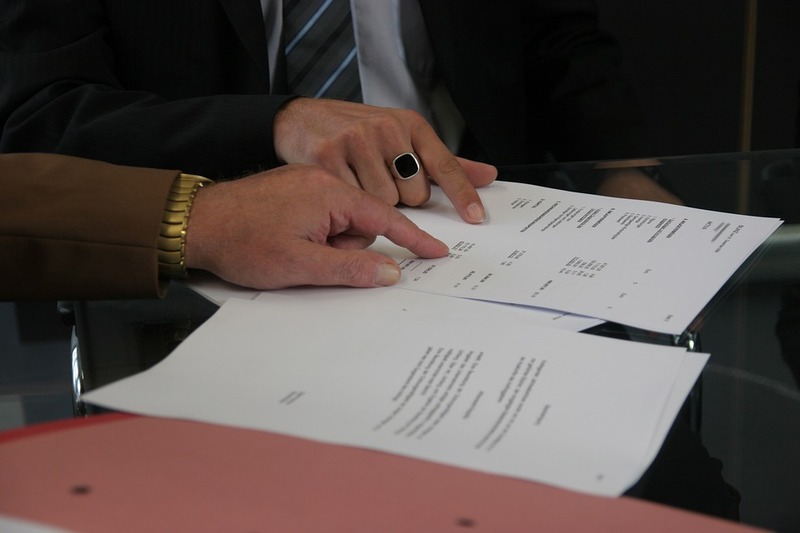 The question therefore arises whether the illegal or void parts may be separated or "severed" from the contract and the rest of the contract enforced without them. Nearly all the cases arise in the context of restraint of trade, but the following principles are applicable to contracts in general. Thirdly, even if the promises can be struck out as afore-mentioned, the court will not do this if to do so would alter entirely the scope and intention of the agreement. 16-188 Introductory. Where all the terms of a contract are illegal or against public policy or where the whole contract is prohibited by statute, clearly no action can be brought by the guilty party on the contract; but sometimes, although parts of a contract are unenforceable for such reasons, other parts, were they to stand alone, would be unobjectionable. The question then arises whether the unobjectionable may be enforced and the objectionable disregarded or "severed". The same question arises in relation to bonds where the condition is partly against the law. 16-189 Partial statutory invalidity. It was laid down in some of the older cases that there is a distinction between a deed or condition which is void in part by statute and one which is void in part at common law. This distinction must now be understood to apply only to cases where the statute enacts that an agreement or deed made in violation of its provisions shall be wholly void. Unless that is so, then provided the good part is separable from and not dependent on the bad, that part only will be void which contravenes the provisions of the statute. The general rule is that "where you cannot sever the illegal from the legal part of a covenant, the contract is altogether void; but, where you can sever them, whether the illegality be created by statute or by the common law, you may reject the bad part and retain the good." Thus, a covenant in a lease that the tenant should pay "all parliamentary taxes," only included such as he might lawfully pay, and a separate covenant to pay the landlord's property tax, which it was illegal for a tenant to contract to pay, although void, did not affect the validity of the instrument. In some situations where there is a statutory requirement to obtain a licence for work above a stipulated financial limit but up to that limit no licence is required, the courts will enforce a contract up to that limit. There is some doubt whether this applies to a lump sum contract "for a single and indivisible work." Even in this situation if the cost element can be divided into its legal and illegal components, the courts will enforce the former but not the latter. 16. It is no doubt true that a court of law will read the agreement as it is and cannot rewrite nor create a new one. It is also true that the contract must be read as a whole and it is not open to dissect it by taking out a part treating it to be contrary to law and by ordering enforcement of the rest if otherwise it is not permissible. But it is well-settled that if the contract is in several parts, some of which are legal and enforceable and some are unenforceable, lawful parts can be enforced provided they are severable. 17. The learned Counsel for the petitioner, in my opinion, rightly submitted that the court must consider the question keeping in view settled legal position and record a finding whether or not the agreement is severable. If the court holds the agreement severable, it should implement and enforce that part which is legal, valid and in consonance of law. 18. In several cases, courts have held that partial invalidity in contract will not ipso facto make the whole contract void or unenforceable. Wherever a contract contains legal as well as illegal parts and objectionable parts can be severed, effect has been given to legal and valid parts striking out the offending parts. 19. In Goldsoll v. Goldman (1914) 2 Ch 603, the defendant was a dealer in limitation jewellery in London. He sold his business to the plaintiff and covenanted not to compete with the plaintiff as a "dealer in real or limitation jewellery in any part of the United Kingdom, the United States of America, Russia or Spain". When the covenant was sought to be enforced, it was contended that the same was in restrain of a trade and could not be enforced. It was, however, held that the covenant was unreasonable and unenforceable insofar as it extended to 'real' jewellery and also to competition outside the United Kingdom. But it was valid, reasonable and enforceable with regard to rest, namely, dealing in limitation jewellery and in United Kingdom. According to the Court, the words "real or" and the listed places outside the United Kingdom could be severed leaving only reasonable covenant which was enforceable. 20. In Attwood v. Lamont (1920) 2 KB 146, the plaintiff was carrying on business as a draper, tailor and general outfitter at Kidderminster. By a contract for employment, the defendant agreed with the plaintiff that he would not, at any time thereafter "either on his own account or on that of any wife of his or in partnership with or as assistant, servant or agent to any other person, persons or company carry on or be in any way directly or indirectly concerned in any of the following grades or businesses, that is to say, the trade or business of a tailor, dressmaker, general draper, milliner, hatter, haberdasher, gentlemen's, ladies' or children's outfitter at any place within a radius of ten miles of" Kidderminster. The defendant, however, subsequently set up business as a tailor at Worcester, outside the ten miles limit, but obtained and executed tailoring orders in Kidderminster. When the plaintiff brought an action, it was contended by the defendant that the agreement was illegal and could not be enforced. The Court, however, held that various parts of the contract were severable and valid part thereof could be enforced. Upholding the argument of the plaintiff and granting relief in his favour, the Court observed that the Courts would sever in a proper case, where the severance can be made by using a 'blue pencil'. But it could be done only in those cases where the part so enforceable is clearly severable and not where it could not be severed. By such process, main purport and substance of the clause cannot be ignored or overlooked. Thus, a covenant "not to carry on business in Birmingham or within 100 miles" may be severed so as to reduce the area to Birmingham, but a covenant "not to carry on business within 100 miles of Birmingham" will not be severed so as to read "will not carry on business in Birmingham". The distinction may appear to be artificial, but is well-settled. 21. In Re Davstone Estates Ltd.'s Leases, Manprop, Ltd. v. O'Dell and Ors. 2 All ER 849, on which reliance was placed by the learned Counsel for the respondent, is clearly distinguishable. In that case, the Court held that the agreement entered into between the parties was opposed to public policy and hence was not enforceable. 22. Similarly, Kall-Kwik Printing (U.K.) Limited v. Frank Clearence Rush 1996 FSR 114, instead of supporting the respondent, helps the petitioner. There it was observed that if the covenant is severable, it could be implemented by applying the 'blue pencil' test. 23. The legal position in India is not different. In Coringa Oil Co. v. Koegler ILR (1876) Cal 466, a clause in the agreement stated that all disputes be referred to arbitrator of two competent London Brokers and their decision would be 'final'. Dealing with the question of legality of such clause, the Court held that the contract could be enforced by excluding the part as regards challenge to such award. It would not affect the jurisdiction of the court, and to that extent, the clause is not enforceable. The other stipulation, however, would not become void or inoperative. In Babasaheb Rahimsaheb v. Rajaram Raghunath MANU/MH/0167/1930 : (1931)33BOMLR260 , there were several clauses in the contract. When the question as to enforceability came up before the court, it was held that if different clauses in an agreement are separable, the fact that one clause is void does not necessarily cause the other clauses to fail. 68. Arbitration. - All disputes, between the parties to the Contract arising out of or relating to the Contract, other than those for which the decision of the C.W.E. or of any other person is by the Contract expressed to be final and conclusive, shall after written notice by either party to the Contract to the other of them be referred to the sole arbitration of an Engineer. Officer to be appointed by the authority mentioned in the tender documents. Unless the parties otherwise agree, such reference shall not take place until after the completion, alleged completion or abandonment of the Works or the determination of the Contract. The venue of Arbitration shall be such place or places as may be fixed by the Arbitrator in his sole discretion. The award of the Arbitrator shall be final, conclusive and binding on both parties to the Contract. 24. The Court held that the sub-clause making the award 'final and conclusive' was clearly separable from the main clause which made reference to an arbitrator imperative. "The existence of the sub-clause or the fact that the sub-clause appears to be void does not in any way affect the right of the parties to have recourse to arbitration and does not make a reference to an arbitrator any the less an alternative remedy." 25. In the present case, Clause 23 relates to arbitration. It is in various parts. The first part mandates that, if there is a dispute between the parties, it shall be referred to and finally resolved by arbitration. It clarifies that the rules of UNCITRAL would apply to such arbitration. It then directs that the arbitration shall be held in Delhi and will be in English language. It stipulates that the costs of arbitration shall be shared by the parties equally. The offending and objectionable part, no doubt, expressly makes the arbitrator's determination "final and binding between the parties" and declares that the parties have waived the rights of appeal or objection "in any jurisdiction". The said objectionable part, in my opinion, however, is clearly severable as it is independent of the dispute being referred to and resolved by an arbitrator. Hence, even in the absence of any other clause, the part as to referring the dispute to arbitrator can be given effect to and enforced. By implementing that part, it cannot be said that the Court is doing something which is not contemplated by the parties or by 'interpretative process', the Court is re-writing the contract which is in the nature of 'novatio'. The intention of the parties is explicitly clear and they have agreed that the dispute, if any, would be referred to an arbitrator. To that extent, therefore, the agreement is legal, lawful and the offending part as to the finality and restraint in approaching a Court of law can be separated and severed by using a 'blue pencil'. 26. The proper test for deciding validity or otherwise of an agreement or order is 'substantial severability' and not 'textual divisibility'. It is the duty of the court to severe and separate trivial or technical part by retaining the main or substantial part and by giving effect to the latter if it is legal, lawful and otherwise enforceable. In such cases, the Court must consider the question whether the parties could have agreed on the valid terms of the agreement had they known that the other terms were invalid or unlawful. If the answer to the said question is in the affirmative, the doctrine of severability would apply and the valid terms of the agreement could be enforced, ignoring invalid terms. To hold otherwise would be "to expose the covenanter to the almost inevitable risk of litigation which in nine cases out of ten he is very ill able to afford, should he venture to act upon his own opinion as to how far the restraint upon him would be held by the court to be reasonable, while it may give the covenantee the full benefit of unreasonable provisions if the covenanter is unable to face litigation." 27. The agreement in the instant case can be enforced on an additional ground as well. As already noted, Clause 20 (Severability) expressly states that if any provision of the agreement is held invalid, illegal or unenforceable, it would not prejudice the remainder. In my view, Clause 20 makes the matter free from doubt. The intention of the parties is abundantly clear and even if a part of the agreement is held unlawful, the lawful parts must be enforced. Reference of a dispute to an arbitrator, by no means can be declared illegal or unlawful. To that extent, therefore, no objection can be raised by the respondent against the agreement. 28. It may be stated here that on behalf of the respondent, it was submitted that if the matter is referred to arbitration in London or in Singapore, it had no objection. But as the Arbitration Agreement provides 'Delhi' as the venue and since that part of the agreement is enforceable, the prayer of the respondent cannot be granted. 29. Finally, it was submitted by the respondent that if this Court is not upholding the objection of the respondent and is inclined to grant the prayer of the petitioner, some time may be granted to the respondent to make an appointment of an arbitrator. It was not done earlier because according to the respondent, Clause 23 was not enforceable. The learned Counsel for the petitioner objects to such a prayer. According to him, a letter/notice was issued and in spite of request by the petitioner, the respondent had failed to exercise his right to appoint an arbitrator. At this belated stage, now, the respondent cannot be permitted to take advantage of its own default. In my opinion, since there is failure on the part of the respondent in making an appointment of an arbitrator in accordance with the agreement, the prayer cannot be granted. 30. For the foregoing reasons, the arbitration petition stands allowed and Hon'ble Mr. Justice M.L. Pendse (Retired) is accordingly appointed as Sole Arbitrator. In the facts and circumstances of the case, there shall be no order as to costs.